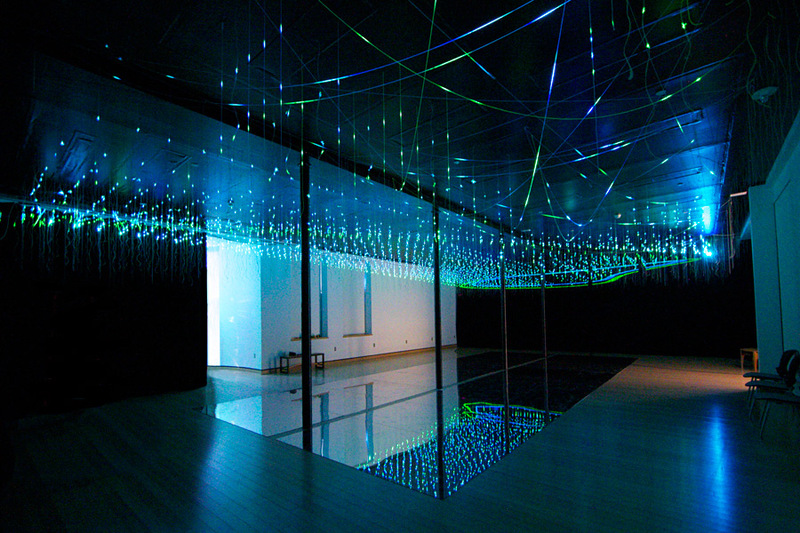 Coherence, utilizes the special inherent quality of spatial coherence to create the illusion of infinite spaces and provides the magic that will illuminate one filament and not the one next to it. 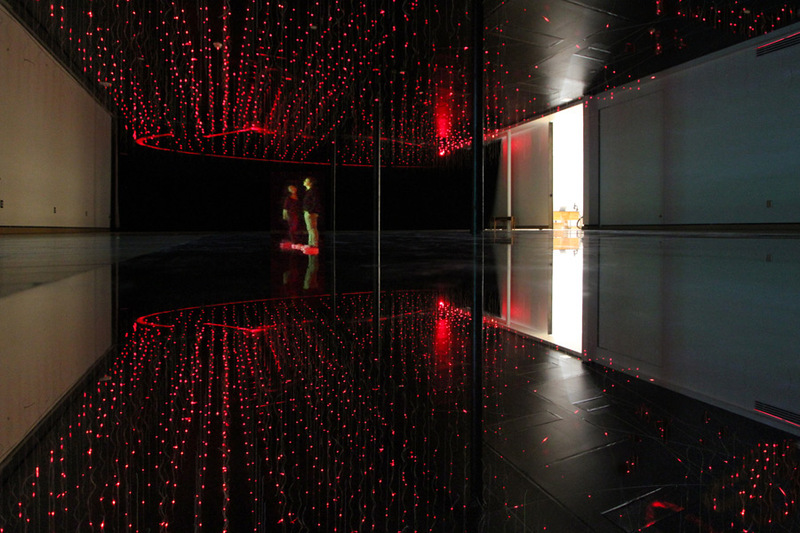 Exploiting this special and unique nature of lasers elevates this environment to more than just a science experiment by creating the appearance of internal illumination where there is none, motion where there is none and with the addition of a mirrored floor, produces a subtle perceptive disorientation while defining and marking space in infinite and mesmerizing ways. 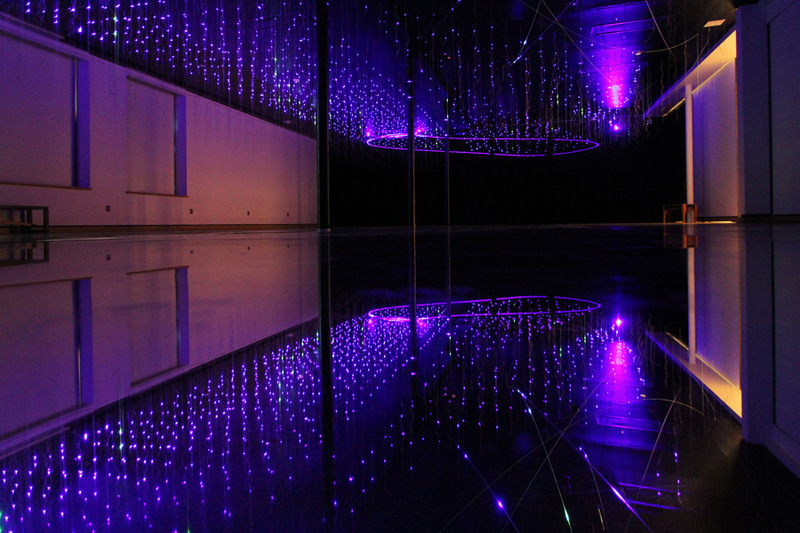 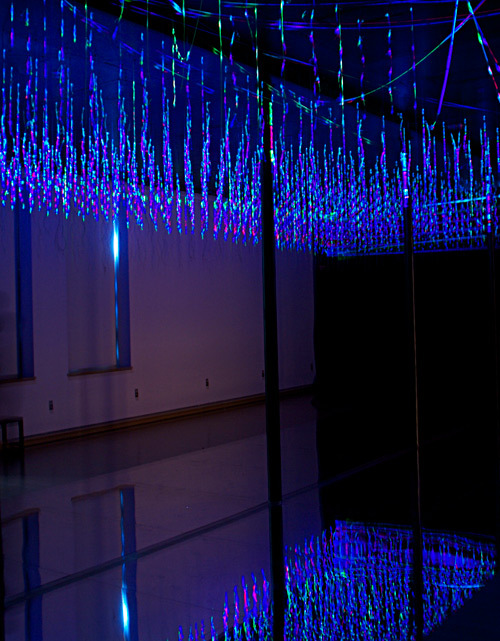 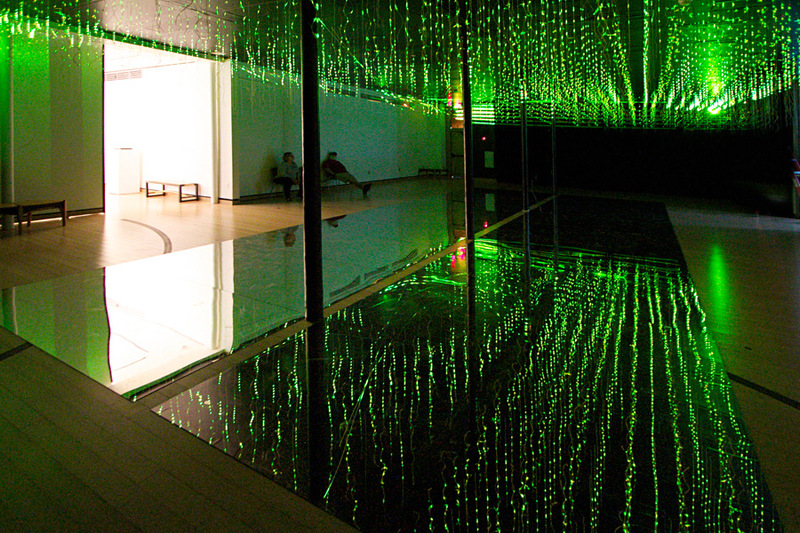 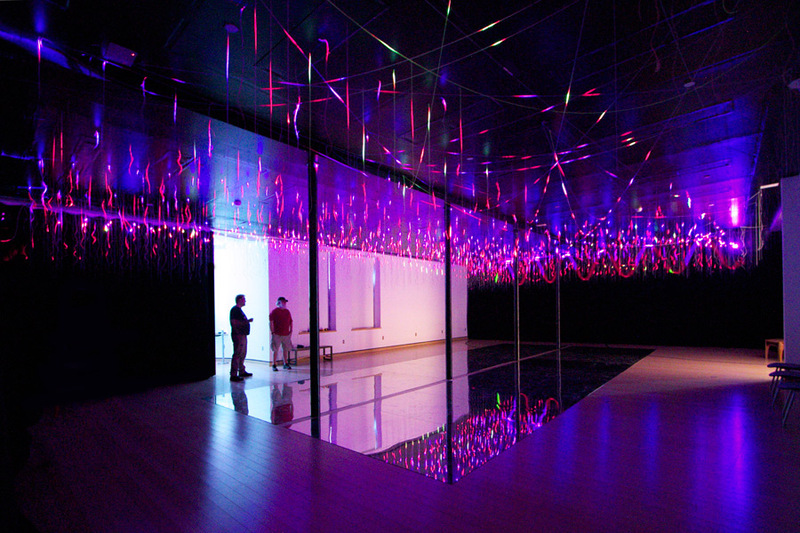 This exhibit utilizes 2 synchronized RGB lasers to project onto hundreds of suspended filaments creating an oceanic undulating immersive environment of light.